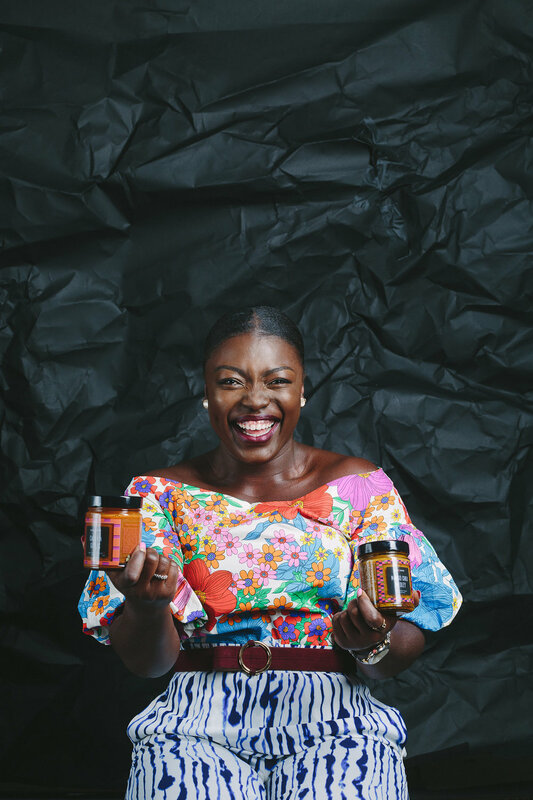 "For one little girl, the journey started in her mother's tiny kitchen in Ghana where her love affair with spice was ignited. Her flavorful journey continued all over the globe, spurred by her insatiable appetite for travel. She played with exotic palates; she tested cuisines, she concocted condiments. As her experiments with spices grew, so did the demand for her homemade sauces which all boiled down to what you now find in this jar: bottled up joy handed down through three generations to spice up your life. That little girl was Essie, and this is Essiespice"